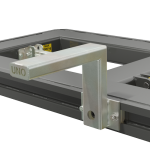 The UnoLiner R20 Drive-On Ramp has been specifically designed for the UnoLiner CRS4000-DO straightening bench. 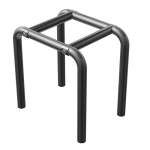 Variants of the R20 are available for the other Drive-On benches. 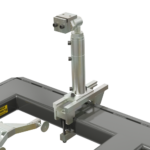 The R20 is divided into multiple sections, which hook into the bench’s side profiles, making these sections quick and easy to individually place and remove. 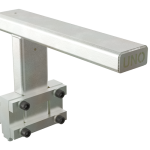 Angled drive-on ramp sections—available in lengths 600 and 1000 mm—hook and hinge into the bench end sections. 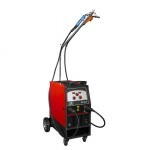 All of this allows for great flexibility during vehicle repair. 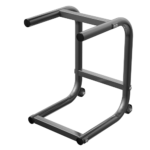 You could, for instance, switch a ramp section for a bench adapter once the car is in place. 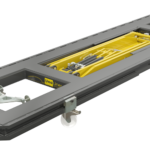 The R20 Drive-On Ramp consists of 14 sections (7 on each side) and 2 angled drive-on ramp sections (1 on each side). 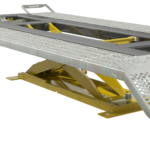 Vehicle placement is easy with the R20 ramps, and the removal of one or more sections once the car is in place enables application of Bench Adapters with Chassis Clamps.